Alexander Morozevich has been a top player in the world for close to a decade. He never shies away from a challenge, always preferring complicated positions that force himself and his opponent to do a lot of deep thinking. He has used his risky, spectacular, draw-averse style in order to become a fan favorite. But he’s not just flash with no substance; he’s won many incredibly strong tournaments and in the past has been ranked as high as 2nd in the world as well. Combining this with his numerous rapid and blindfold tournament victories makes him an interesting player to watch in every tournament he plays in. 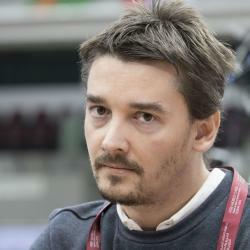 Alexander Morozevich became an International Master in 1993 and a Grandmaster in 1994. In the same year he became a Grandmaster, he won his first international tournament, the Lloyds Bank tournament in London, and also won the Pamplona tournament. In 2001, Morozevich was the first player to defeat Kramnik after he won the World Championship. Because of his incredibly risky play style, Morozevich constantly wavers between being winning one tournament to being one of the lowest placing players in the next tournament. Despite this unpredictability and inconsistency in his play over the board, he has still played well enough throughout his career that he was at one time ranked as high as number two in the world, edging out Vladimir Kramnik for the number one ranking in Russia at that time as well. Morozevich is also one of the best in the world at rapid and blindfold play. He placed 2nd or higher in 7(!) consecutive(!) Amber tournaments from 2002-2008. With all of this skill, he continues to be ranked among the elite top 25 players in the world.